I had one of those expat moments yesterday. Any foreigner who’s spent a significant amount of time in Peru probably knows what I’m talking about. If you’re not familiar, an expat moment is when you go from total elation, “I just love the way of life here”, “I’m so glad I left the rat-race up North behind” to “what the heck are these people thinking” in the span of about 30 seconds. Complete happiness to mindless frustration quicker than you can say Pisco Sour. Yesterday’s moment came at the annual procession of Señor de los Temblores at the Plaza de Armas (main square) in Cuzco. I’ve written previously about the procession of Señor de los Temblores. This annual procession on Easter Monday attracts tens of thousands to the center of Cuzco. 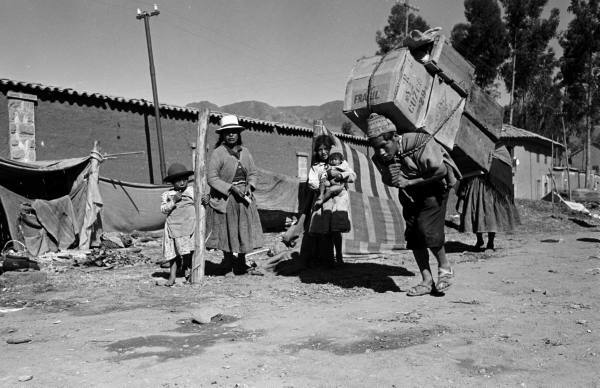 The image of Señor de los Temblores is taken out of the Cuzco Cathedral and carried through the center of the city, with the procession ending back at the Cathedral for the blessing of Señor de los Temblores in front of a crowd of thousands at the main square. 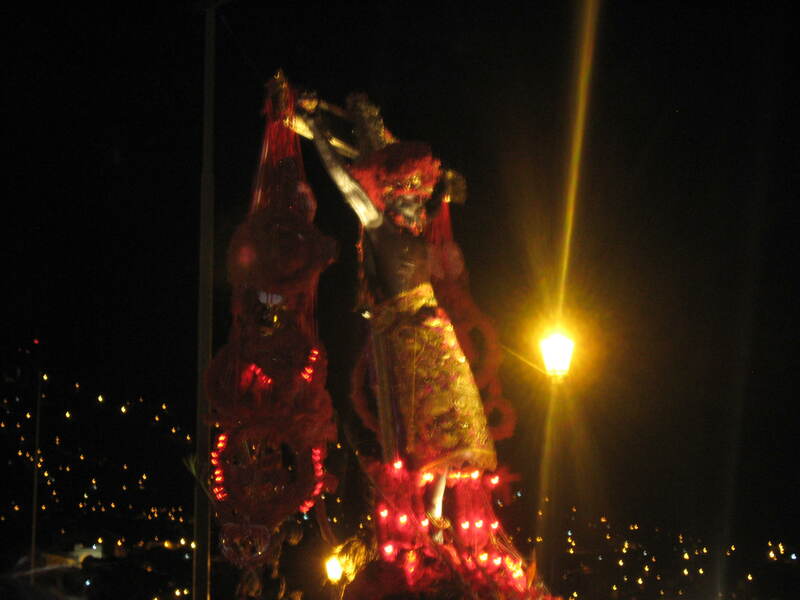 Señor de los Temblores is the patron Saint of the city of Cuzco. It is believed that He protects the city from earthquakes and other harm. 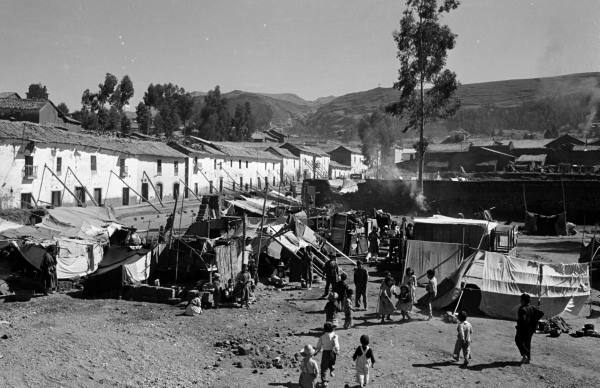 The origin of the legend is said to be the devastating 1650 Cuzco earthquake, which was at the time believed to be the strongest earthquake on record. 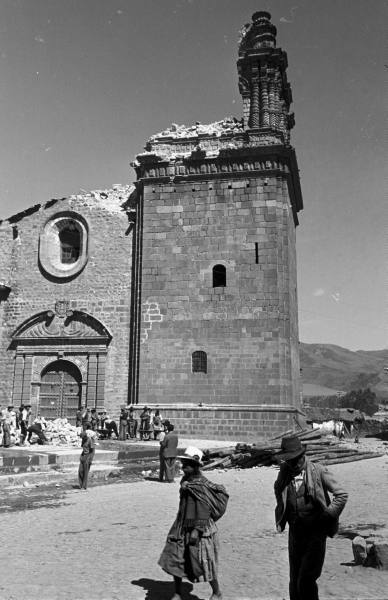 The 1650 Cuzco earthquake continued for a long time only to finally stop when the image of Señor de los Temblores was taken out of the Cathedral and worshipped. 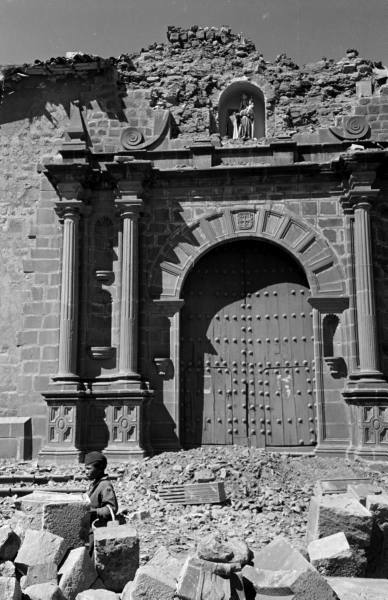 Read more about the 1650 Cuzco earthquake here. Back to my expat moment. I decided to go to the procession yesterday with our “wawacha” (wawa is Quechua for baby, in Cuzco the word wawa is used more often than its Spanish counterpart “bebe”) accompanied by my mother-in-law and sister-in-law. The four of us found a good spot at the corner of the Plaza de Armas, to the side of the Cathedral. Mamacita had to work until 7:00, so we were tentatively going to meet somewhere at the Plaza de Armas. As it happens we didn’t get together with mamacita until after the procession due to the crowd at the Plaza. The procession of Señor de los Temblores is a powerful experience. Yesterday was a perfect night, a bright moon and an exceptionally clear night’s sky, even for the famously bright Andean sky. There’s a huge crowd, many true believers as well as tourists and curious bystanders. The crowd, the solemn procession, the ring of the famous Maria Angola bell and finally the blessing of Señor de los Temblores all adds up to a moving experience, whether you’re religious or not. After the blessing the crowd starts to leave. We tried to wait a few minutes to avoid the rush but get swept up in the crowd heading away from the plaza. These kinds of big events aren’t planned as meticulously as they would be in the US or Europe, crowd control is really limited. As we’re stumbling down one of the narrow streets leading away from the plaza there’s 5 or 6 people behind us holding hands or holding a rope so as not to get separated. The biggest guy up front keeps pushing against me and telling me to “Walk” “Walk” “Walk”. Nevermind there’s no way to walk faster in the crowd. I’m having a hard time to maintain my footing and I’m carrying a sleeping baby. 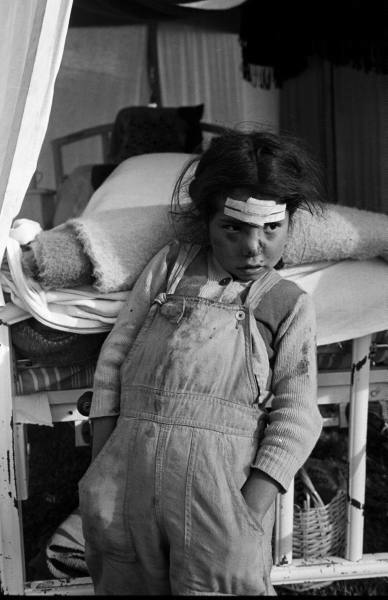 Next to me was a lady with a baby behind her back in the traditional Peruvian blanket, getting pushed around all over the place. What I didn’t know at that point is that there was a fat drunk guy just bulldozing his way through the crowd a few rows behind us, in addition to the folks pushing their way through behind us. Finally the pushing gets so bad that people are starting to loose their footing and I loose my temper. I’m normally a very laidback guy and hardly ever loose my temper. When I do, people are stunned. This skinny soft-spoken white guy just turned into the devil himself. Everyone stopped. At that point the fat drunk guy who was bulldozing his way through slips by us and people everywhere are yelling at this idiot. All the pushing stopped and everyone was able to walk normally. I felt terrible. I was at the blessing of Señor de los Temblores, I’m not supposed to loose my temper and yell at people but when you’re holding a baby and feel like you’re going to get hurt, nothing will stop you from protecting your baby. 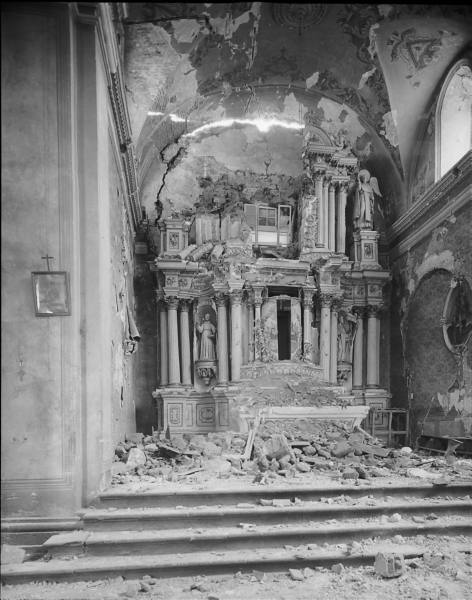 This entry was tagged 1650, 1950, Cuzco, earthquake, Saint, Señor de los Temblores, wawa. Bookmark the permalink.